Our maintenance equipment is available to order so you can keep your astro turf pitch looking and performing at its very best. The RTC Tractor has been designed specifically for artificial grass sports surfaces. 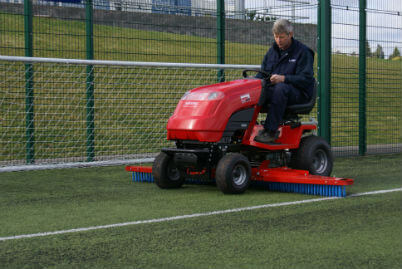 This integrated tractor and brush unit is ideal for regular brushing and routine pitch maintenance. 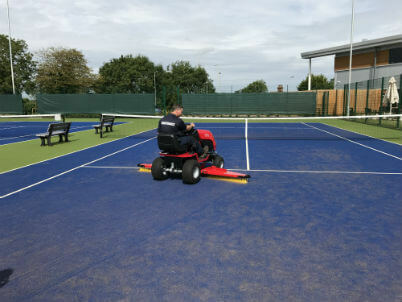 With a 24hp twin cylinder Kawasaki engine you can quickly and effectively brush pitch surfaces, both 3G surfaces and shorter pile height sand filled playing surfaces. The unit’s wings can be easily raised and lowered, and the brushes can be raised and the pressure adjusted using a single control lever. When brushes are extended they span a width of 200cm. These floating brushes agitate the infill and re-erect pile. When folded, the entire unit can fit through a 90cm single gateway and can be stored in a relatively small area. The short video below shows how easy the tractor and brush unit can be maneuvered making very light work of maintenance tasks. If an RTC Tractor is outside your budget, a more affordable option is the PST Sport Drag Brush. 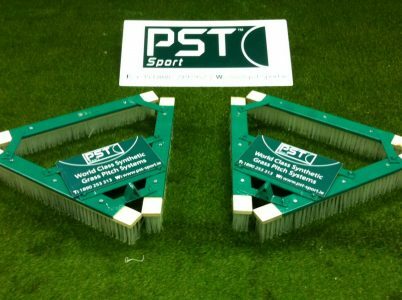 This brush is similar to that on the ATC machine and specially made for artificial grass ensuring an even and level playing surface. We have two options, a 1 metre drag brush and a 2 metre drag brush. The design of the brush ensures that it doesn’t get clogged with loose artificial grass fibres. The brush tool can be infinitely adjusted to the desired depth and height. To keep your artificial grass surface in peak condition it’s important to use a drag brush after approx. 30 hours use. This will keep the fibres standing upright and looking natural as well as helping prevent any long-term damage caused by overuse combined with incorrect maintenance.